Berry fresh, berry juicy, summer berries! One of the best things about summer. And where else but UK? British strawberries are well known everywhere aren't they? And must say, true to their reputation they are indeed wonderful. I have mostly encountered the tangy ones with a slight hint of sweet but I still quite seem to like them. Here are some of the pictures I took while visiting my boyfriend's family. Laden with juice, I can tell! 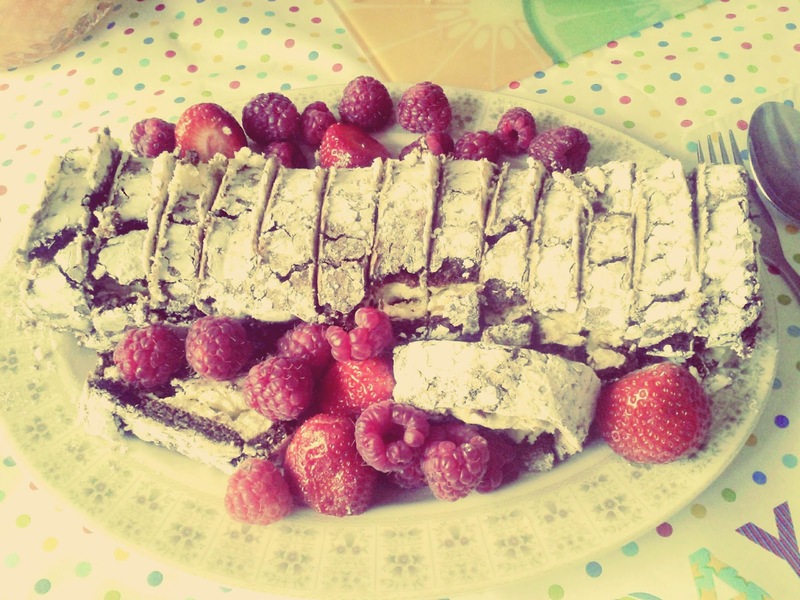 Grandmas make the best puddings, don't they!! 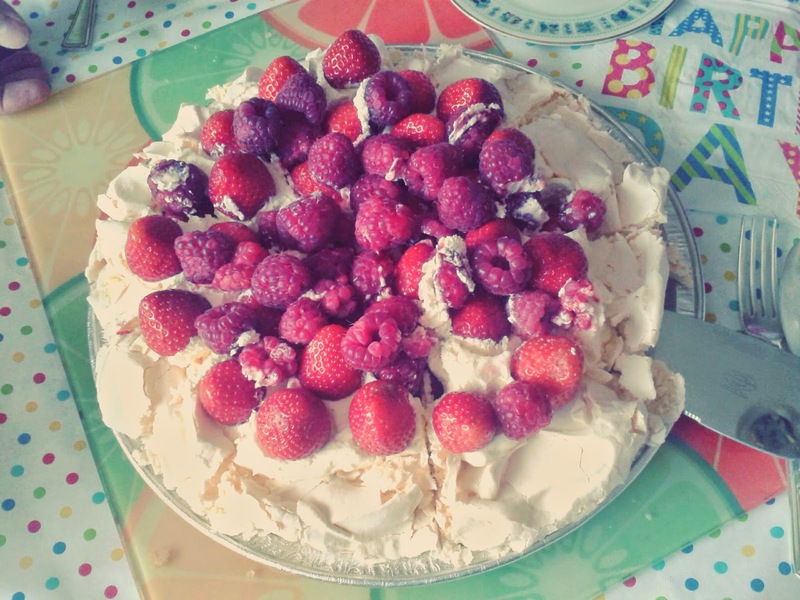 We really had a lavish lunch ending with a perfect closure: fresh hand picked berries from the home garden served with home-made pavlova and roulade. 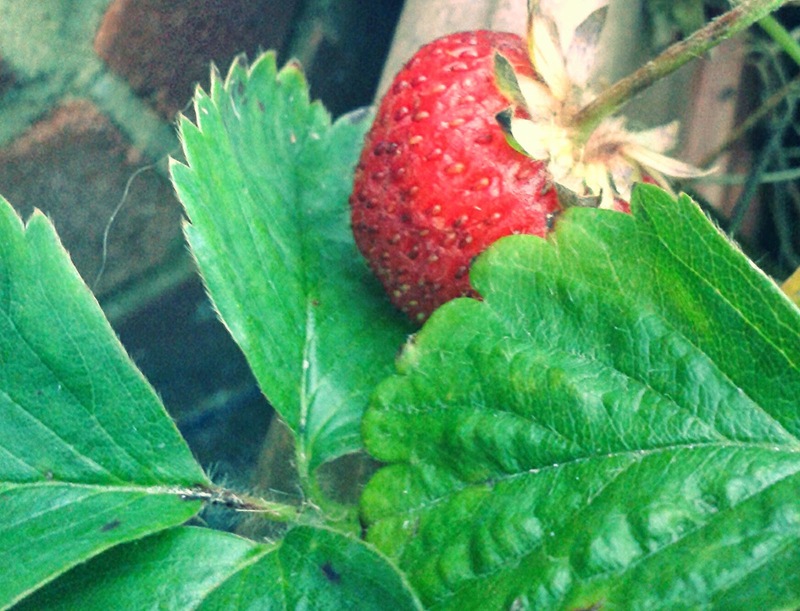 So, being from a tropical country it was rather common for me as a child to wonder what a strawberry plant would really look like (back in those days internet wasn't always at one's disposal :p). 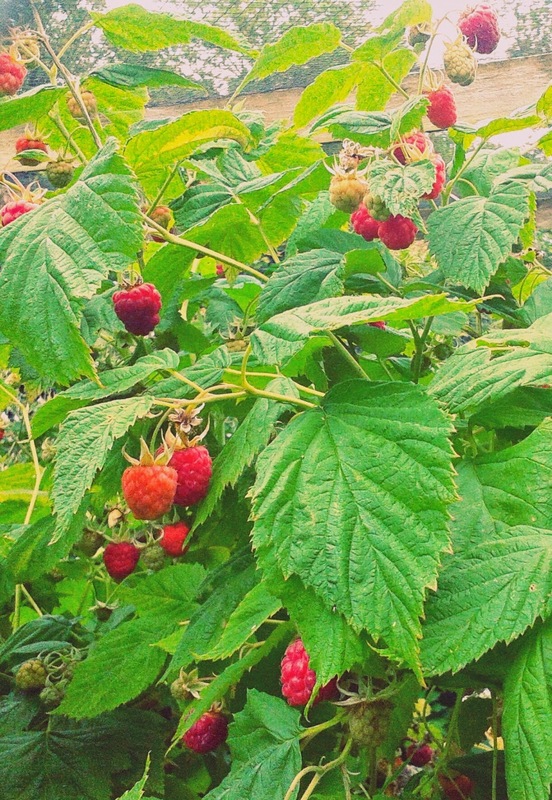 Then, during my pre-teen I did find wild strawberries in certain chilly parts of the north-east India, or carefully nurtured beds of good old british strawberries in my friend's kitchen garden, but that's it... Never did I ever see raspberries, currents, bluberries and all the other coloured berry plants. Even now one would hardly see a lot of these lovely summer berries naturally growing in most part of my country. 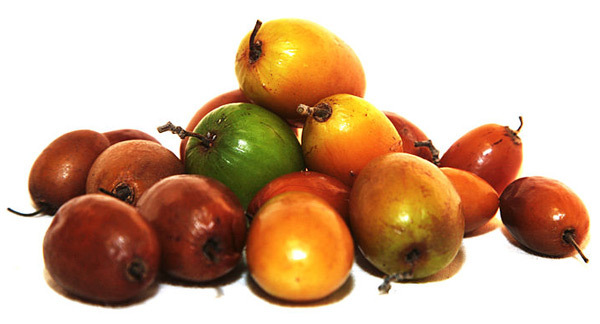 However, there are other tropical forms of "berries" that we enjoy annually. So, to start with, we do have these fake strawberries that look just like the normal strawberries, only slightly smaller, rounder, more stubbly and totally tasteless! Frankly I don't see any purpose of their existence. I remember back in my schooldays when I used to have a lot of these runners (type of plant) all around the garden and be excited at the early signs of fruit. However, I soon started disliking them for the fact that they were utterly tasteless. I mean, c'mon…Just a bit of taste, even bitter, would do. Totally tasteless is just a total turn off. 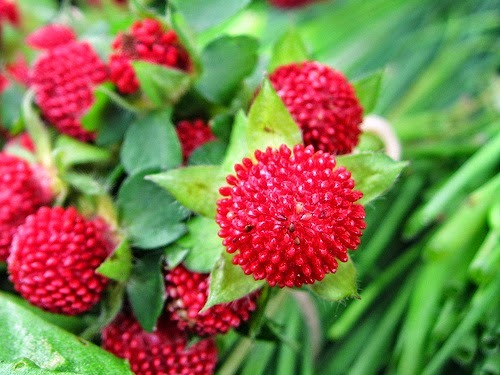 Also available are the wild strawberries that grow in the higher regions of north-east India. They have the same texture, scent and taste as the normal ones but quite small in size, closer to a yellow daisy core. Not the real deal but kind of serves the purpose. Myeh… it will do! 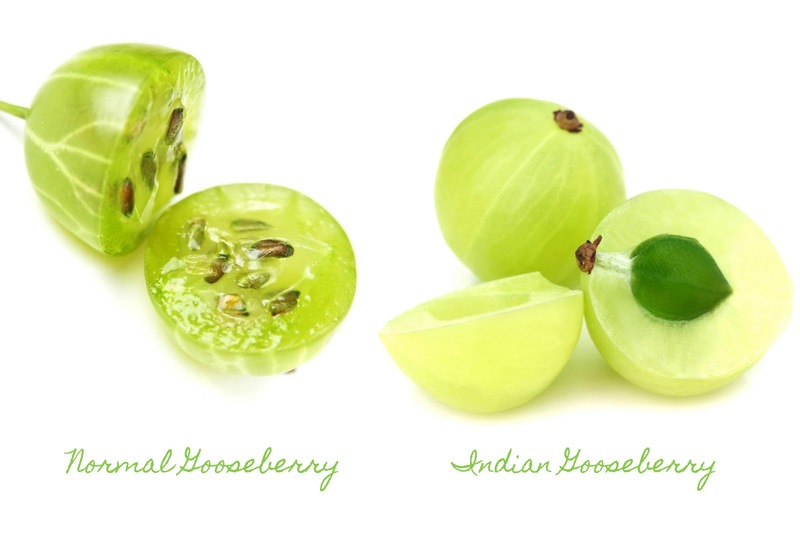 Very similar looking from outside to its distant cousin, the indian gooseberries, commonly called "Amla," are slightly larger (about double the size) and rounder in shape, and unlike the normal gooseberries they fruit during winters and grow on large trees whereas the summer gooseberries grow on small shrubs. 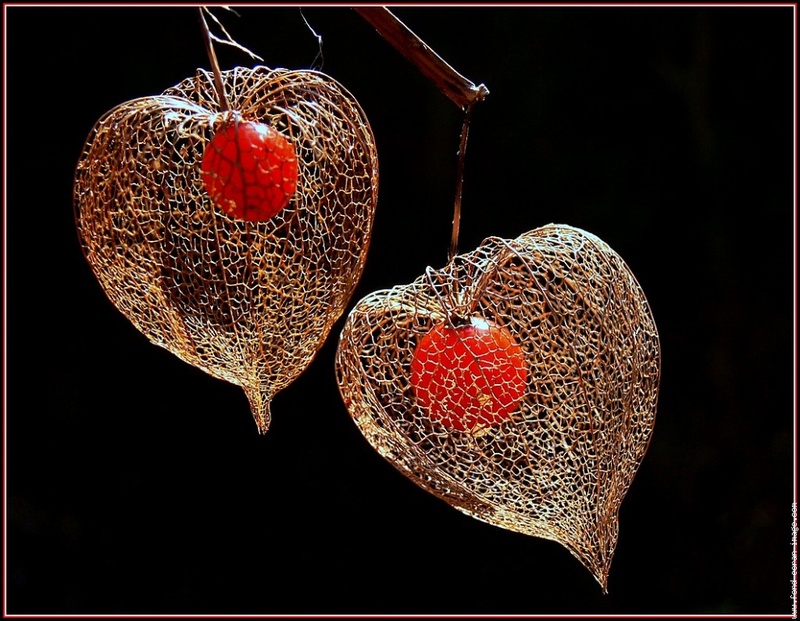 Even the leaves are different, the normal gooseberries have lobed leaves while the indian gooseberries have technically what they call the "even pinnate" shaped leaves where there are tiny leaflets on a thin stem arranged in rows with two leaves at the tip. While the two taste quite similar, both being rich in Vitamin C and (for me) quite excruciatingly tangy in taste, the textures are however quite different. 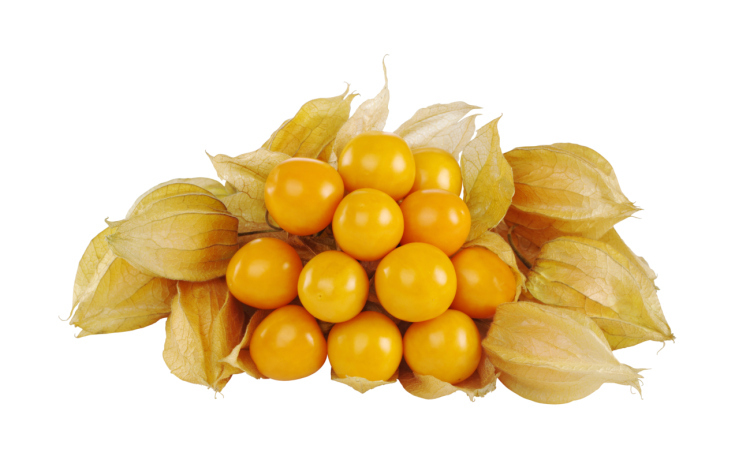 The anatomy of the fruits are distinguishably different as well, the normal gooseberries are pulpy with small seeds floating in the pulp inside, much like a passion fruit, amlas on the other hand have a hard green stone as a core like a peach or nectarine. Full of antioxidants, amla is quite medicinal and can be made into many edible items like marmalade (taste exactly like the normal gooseberry marmalade), refreshing squash, delicious pickle, chutneys, added to curry, eaten dried or just plain raw fresh out of the tree (that's how most indians enjoy it, beats me how >.<) My parents especially enjoy the marmalade (called "murabba" in hindi) and the sweet-tangy squash made from amla. 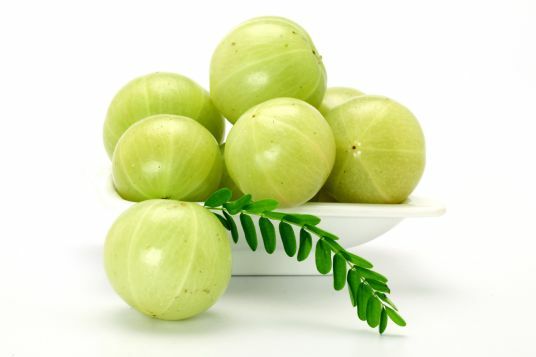 Amla has been used in many ayurvedic recipes such as colon cleanse, blood purification and also known best for its ability to strengthen hair roots and grow healthy hair. Amla hair care products are widely distributed by branded companies all across India and quite widely used in almost every household too. A delicious berry resembling closely the blackberries, these are a delicacy for silk worms especially. Silk worms are quite vital to the livelihood of many North-East indian folks, who make a living by weaving different types of silk from these bugs. Naturally they need to have a big stock of these mulberry plants to feed the little grubs. Mulberries were originally from mexico. They grow in a lot of tropical areas. 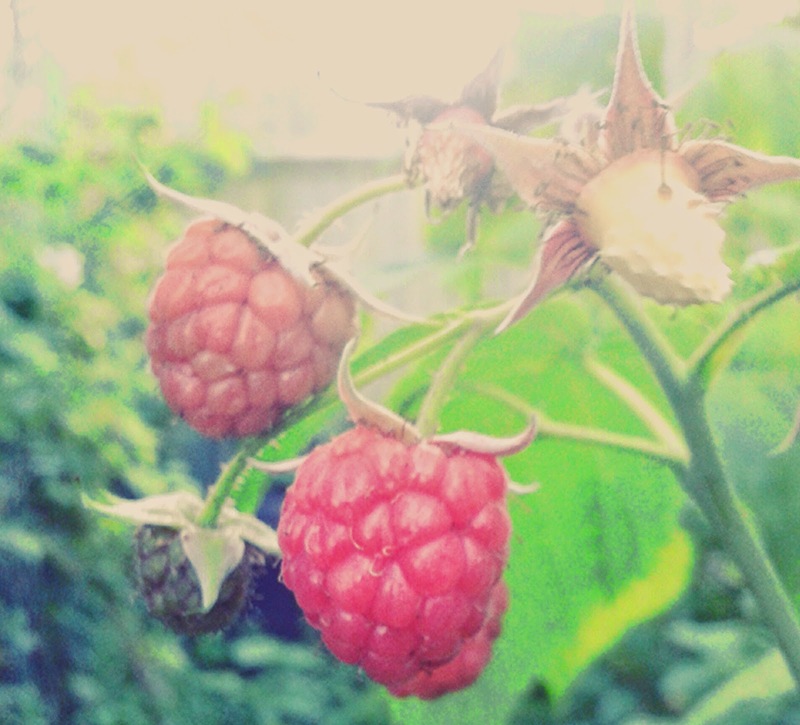 They have the same texture and somewhat even the taste as the other aggregate berries like raspberries and blackberries. 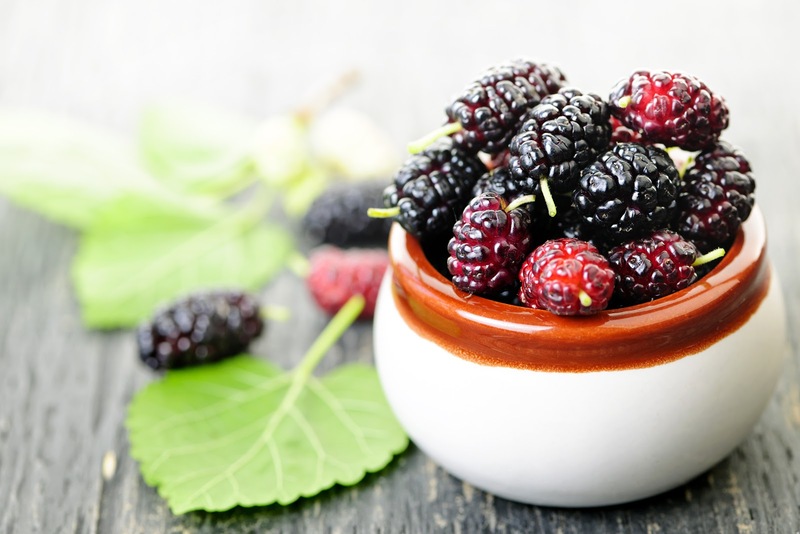 Easily made into jams and jellies, mulberries are quite sweet when ripe and have a rich magenta-red colour. Rich in antioxidants, iron and our friend resveratrol, found abundant in raspberries, blackberries, deep red and black cherries, plums, red grapes, red wine and most things deep red (fruits and veggies of course). Here you go, next time try something new with those scones and croissants :). So, the first time I heard about them I totally confused the name with raspberries (yeah yeah, my accent was pretty bad as a child). 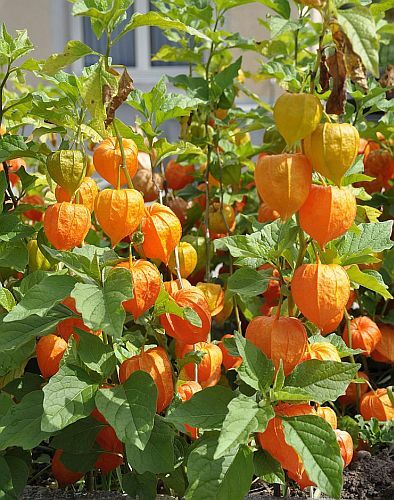 Then as a teen I realised "rasbhari" (meaning "full of juice") is actually the indian name for "chinese lanterns" a.k.a cape gooseberries. The actual orange edible fruit has the same texture as a cherry tomato but there is a thin bladder-like calyx that protects the fruit from the "environment" BUT NOT FROM ME BWAHAHA!! Ok... poor joke, I know. As a matter of fact, it's pretty to look at but I don't like the taste of it that much. 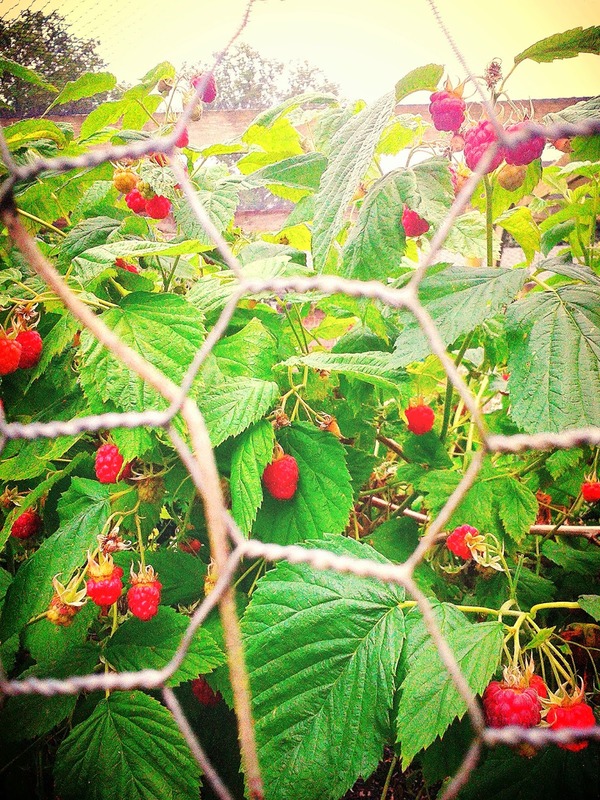 This was again a discovery I had when I was in school, in the same place where I first discovered the fake strawberries. These have a taste that might not suit everyone's palate! Frankly, I did not agree with it at all, to me it tasted like a weird version of tomato, and back then I quite hated tomatoes. 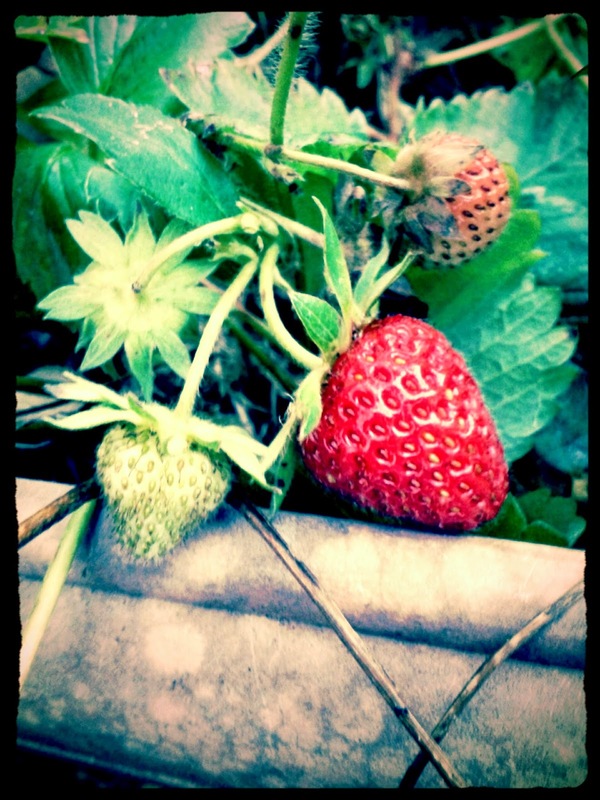 Now, I cannot cook without tomatoes :p but I still prefer not to eat these berries if I can avoid them. Somehow, the taste just doesn't agree with me. However, my dad just loves them. I used to watch him munch away on these like I would on candy and wonder, "What in the world!!?!!?" French just know their romance: "Love in a cage"
Locally called "bér," also known as indian dates, these are the most common and my favourite kind of indian berries found almost all over the country. They can be sweet, they can be sour, they can be small, they can be large, they can be round, they can be oval, they can red, yellow or green, they can be eaten dried, they can eaten raw, they can be pickled, they can be jammed. I just looooove these little wonders. Back in 1994, when I was somewhere between kindergarten and school, we used to live in north Indian state, UP, short for Uttar Pradesh. There, mom and I, and sometimes even dad, would go for evening brisk walks through the Indian Air Force base runway. The runway was huge and we would walk for miles without ever reaching the end (or so it seemed to me with my two little feet). The best part of the walks were obviously not me trying to keep up with mum, huffing and puffing, half running half stumbling, it were the lines of jujube trees bordering the runway till eyes could see. Oh! We just loved plucking the fruits of our endeavour :p!!! And what varieties!! Ovals and rounds and long in shapes of varying sizes, super sweet to mildly tangy in tastes, always juicy and fresh... I would carry my little bag every single time and pluck as much as my bag could carry. There was never any restriction, always plenty and for everyone. One time I ate so many that I couldn't chew anything for days because of the tingling sensation chewing too much citrus leaves in the mouth, especially the molars. We had jars and jars of pickles, both savoury and sweet. Such fun, much memories... yum! Coming to the fruit itself, they are fleshy with edible papery skin and a stone core like olives. The shrubs are medium high but riddled with long nasty thrones. Care must be taken while plucking them. The colours, as I mentioned, differ from one variety to another, some are sweet even when green, some you need to wait till it is orangish red. People could prefer eating when still cringingly sour or when it is irresistibly sweet. Quite rich in vitamin C, these berries are known to be excellent anti-depresants, help during indigestion, and strengthen immune system among many other amazing qualities. 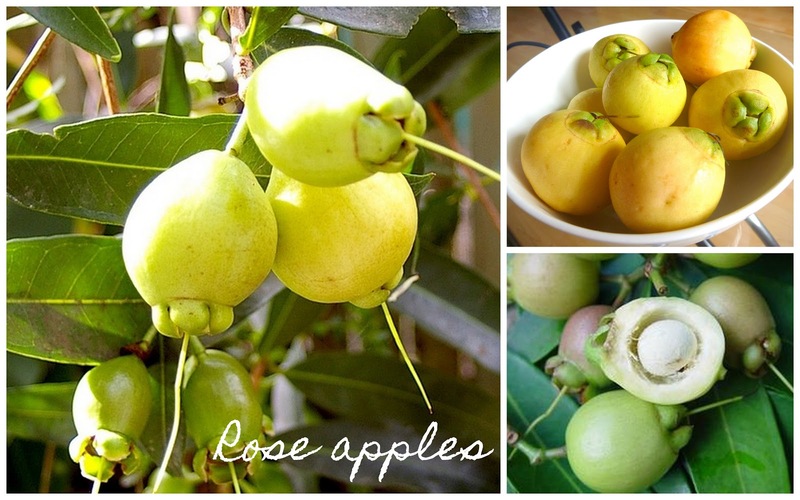 It is a "must try" for all as a local, most beloved fruit of India. Scientifically known as Syzygium cumini, also called the Indian blackberries, jamuns, are these oval deep purple fruits. They resemble black grapes and even fruit in grape like clusters, however they have a large stone for seeds. They are quite sweet and leave a peculiar metallic after taste in the mouth that lingers for a while, they are fairly fleshy with edible thin skin and have a beautiful purple hue that deepens as they ripe. Marmalades, jams, jellies, and juices are the best ways to utilise the best of the fruit. They grow on huge trees mostly during summers. Yup, they are the official indian summer berries. The colour and taste of childhood. The first time I had them was in north india again, the same place where I used to eat tones of jujubes every summer. I haven't quite eaten them properly since and hope to do so sometimes soon when I visit India next. Another variety of jamun is the Syzygium jambos commonly called "gulab jamun" or "rose apples" in India (not to be confused with the indian dessert gulab jamun or the thai rose apple) which are not really the same family as the black jamuns but are called so just cause… Their flowers resemble a lot like that of rain tree's and the fruits look a bit like guavas but they are hollow inside with a round stone seed floating inside (mostly after being detached). The fleshy edible bits are soooo freakin sweet, it's just ambrosia! Well, with that, I guess I should wrap my rant up on these delicious wonders I call gift of nature. I love fruits, oh! what would I do without them!!! I can live on fruits, no joke. But I love me some pork too :p so may be not going to try living only on fruit alone for now. Anyway, I hope you enjoyed reading a bit about something uncommon from the usual summer berries (at least one of them), and if you're from India, enjoyed reading about your national treasures!